1. 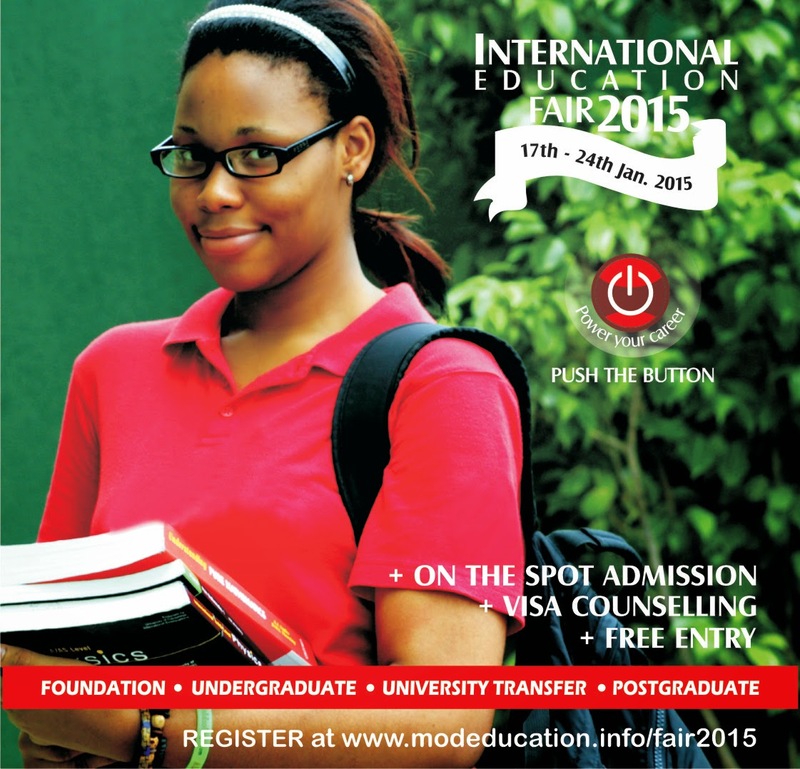 The 2015 International Education Fair is the biggest education fair taking place in 5 major cities across Nigeria. 2. It is a life-changing opportunity to meet delegates from top universities from the UK, USA, Canada, Australia and Nigeria for Foundation, Undergraduate, University Transfer, & Post-Graduate studies. 3. This is the 3rd edition and it is a known fact that you can get on-the-spot admission, talk with experienced education counselors, visa counseling, scholarships, affordable study options and much more just by attending. Blackberry Z3 or Infinix Zero when you refer a friend after registering for the event. All you need to do is register and receive your unique ID in your email which you can share on Facebook, Twitter, BB etc with your friends and the 3 highest referrers win. 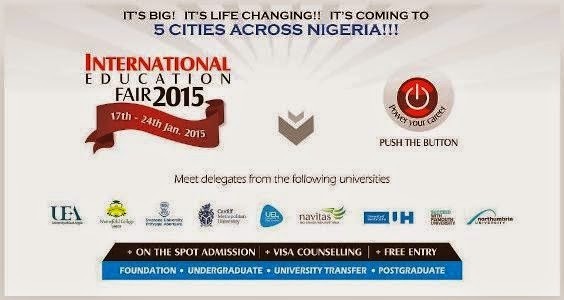 International education fair has gone viral already and has been viewed by over 13,000 people on different platforms.